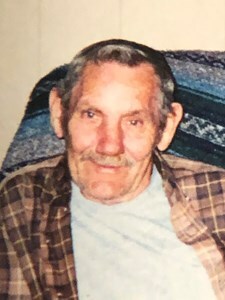 Newcomer Family Obituaries - JD Hensley 1934 - 2019 - Newcomer Cremations, Funerals & Receptions. JD Hensley, age 84 of Dayton, passed away peacefully on March 20, 2019. JD was born in Hazzard, KY to the late Rome and Marybell Hensley. JD married the love of his life, Margie Stafford, on May 28, 1958. The two shared many happy years together until her passing in 2014. JD retired from Ryerson Steel Company after many years of loyal and dedicated service. JD loved to spend time with his family and had a passion for cars. He was very skilled at fixing anything, especially cars. He was a caring and compassionate father, grandfather, great-grandfather, brother, uncle, and dear friend. He will be greatly missed by all who knew him. In addition to his parents, JD was preceded in death by his loving wife, Margie Hensley; sons, Damon Hensley and Douglas Hensley; granddaughter, Brittany Hensley; sisters, Jewel and Christine; and brother, Arvil. JD leaves to cherish his memory, children, Donnie Hensley, Jacqueline Baird, Carolyn (Mike) Preston, Lisa (Mark) Stritenberger, and Dale (Lori) Hensley; grandchildren, Ashley, Heather, Bradley, Missy, Jay, Gavin, Karri, and Dwight; great-grandchildren, Chase, Evan, Justin, Chance, Nolan, Carson, Alex, Ellie, and Brynn; brothers, Franch Hensley, Mitchell Hensley, and Jake (Barb) Hensley; sisters, Carrie Hensley and Rannie Patterson; and many other loving nieces, nephews, cousins, and friends. JD's family would like to express their gratitude to his hospice nurse, Rebecca, for all her care, compassion, and support during this difficult time. A service honoring JD's life will be held on Tuesday, March 26, 2019 at Newcomer North Chapel at 10:30am. Visitation to be held for one hour prior (9:30am - 10:30am). Burial to follow at Dayton Memorial Park Cemetery. Add your memories to the guest book of JD Hensley. Any time I had a problem with a car . My deepest condolences go out to the entire Hensley family. So very sorry to hear this news. God bless all of you. One of the greatest uncle's anyone could ask for! Very loving and understanding, he will be greatly missed! Loved him very much!